Due to popular demand, here is another Monkees Headquarters Show. This one is the first of four that are slightly different from the rest. On January 26, 1990, the show was leaving the air. The final show was only supposed to last for an hour or two, but went on well into the night, for more than seven hours of Monkees business. Unfortunately, I have lost the first 90 minutes of this show, but for the the next few months, I will put up what I have on this final show. It was a doozy, with interviews, music and recollections about Peter, Micky, Mike and Davy. So let's start with Part 2. 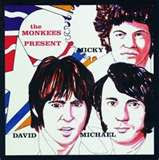 Friday Music will be re-releasing several Monkees LPs with extra tracks on CD in May. The list includes "Present", "Changes", "Pool It" and "Justus". There is also word that the original David Jones LP on Colpix will be rereleased by this label. I guess this means that the final Rhino Monkees rerelease will be "Instant Replay". I hope Friday music does justice to these rereleases as Rhino has done. 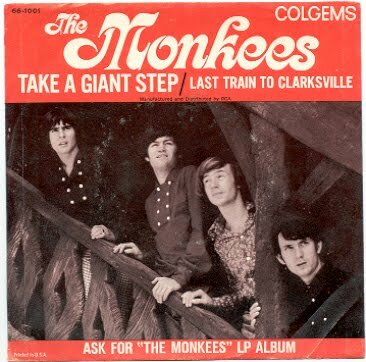 Sure, you could argue with some of what Rhino did, but generally, they took more care with the Monkees' catalog than any other label has taken with any of its major acts' rereleases.